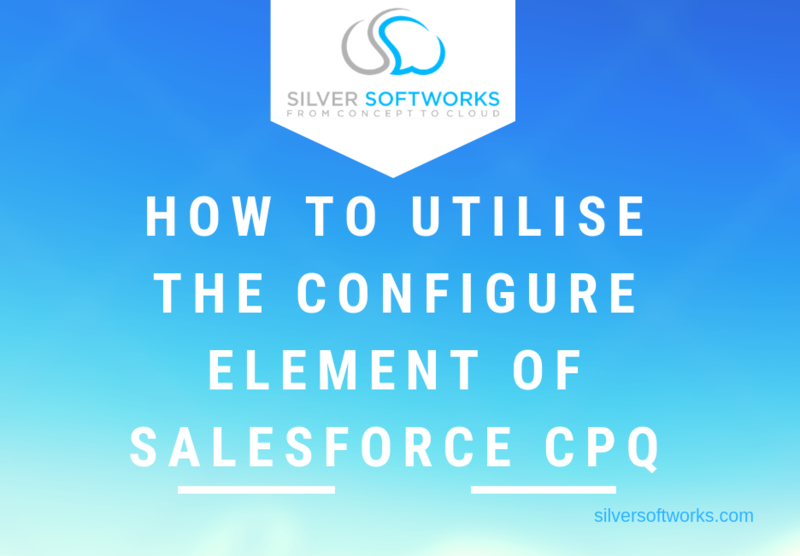 The configure stage of Salesforce CPQ is the first element users encounter and can be incredibly useful, however people tend to rush over this stage rather than utilising all the functions that can really enhance your final quote. This is the step that helps assess the product(s) the customer wants to buy, as well as determine others that they could want but don’t realise it yet. Guided selling is a hugely beneficial component of configuring for CPQ. This allows users to determine products to advise on and also guide them towards additional or upgrading items that could be a better fit or a great accompaniment. Use the Wizard tool to help discovery and design, determine alternatives and ensure no improper combinations are created. With the Wizard users are able to provide the most informed service to customers. Define the needs and use cases they desire, by asking questions such as size, corporate or personal use, or any other related questions in order to determine an informed outcome. Users are then able to input the results using filters and lists in order to find the best suited products. Filtering really allows for an in depth understanding and educated selling. Users are even able to define favourites for filters they will be referring back to on multiple occasions. Filters are necessary for a successful configuration. Users are able to define the criteria of the filters and have a personal experience for every customer. 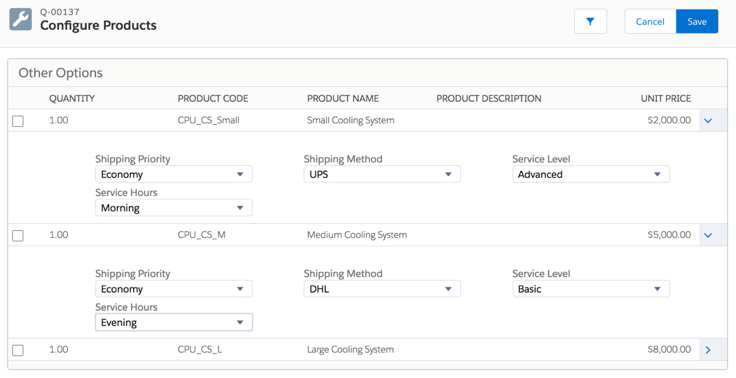 Bundles are one of the main features to the configure stages of CPQ. Users have the freedom to create a selection of bundle alternatives, dependent on what is needed. There are three main bundle areas that allow users to group products to be sold together, bundles allow for reduced errors, and provide an accurate complete service. Static bundle – These are bundles that never change, they put necessary products together to minimise mistakes when creating quotes. This could be ensuring a charger is always included with a phone, or a lid with a box or any other necessary items that belong together. Configurable bundle – These are the pick and choose bundles, make recommendations based on the customer’s personal preferences. This could be useful if there are alternatives, such as interchangeable lids to the same box or different size dividers to go inside, these items are not essential but relate well enough to make a great bundle. Nested bundle – This involves having bundles inside of bundles. This could be useful in many occasions, such as a gaming bundle with a console and three changeable games. The console could be a separate bundle depending on memory and specs, inside the main package bundle..
Once you have established who the final quote is for, users can even use the Configure stage to change interfaces, creating personalised quotes from the very start. Define inclusions and exclusion rules in order to ensure each end quote is unique and personalised to each client, minimising mistakes and ensuring a tailored experience every time. 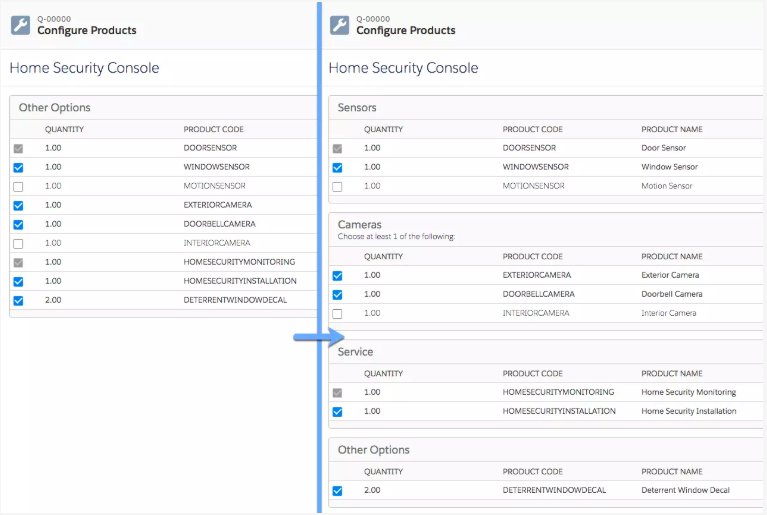 Configuration leads into the Price section of CPQ, before users move on however, they are able to establish calculations in the Configure element. Depending on the bundles or questions answers, a range of pricing options will be available in the next section. This could be dynamic pricing, block pricing or even tier pricing. Find out more about how to utilise the Price element of CPQ here. To find out more about the other areas of CPQ, take a look at posts on Price, Quotes and all things CPQ here. Or simply get in touch here to find out how CPQ can benefit your business.